The mouth watering smells of grilled meat wafting through the air can make your mouth water and bring back many fond memories of lazy summer days. Nowadays, you can even pull out your grill in the snow! What's stopping you from trying something different this year? Hamburgers and hot dogs are fine, but why not show off your skills this year with a twist on the traditional pulled pork? This time, make it Smoked Lamb Shoulder. Lamb has a pleasant, gamey taste with a substantial, juicy texture. It's great for a change. I really enjoy trying new things and eating foods that are traditional but made in a bit of a different, unique way. Pulled Lamb Sandwiches sound like just the thing for your next BBQ. The new flavors will keep your friends and colleagues talking for weeks. There is no need to be concerned about the technique for smoking a piece of lamb, nor the lamb temperature. Everything will be detailed in this tutorial. You may need to scope out your local butcher shops to find a bone-in lamb shoulder. If it's difficult to find, just ask your butcher to order one for you. Let's get cooking. Begin by gathering all of the ingredients for the rub into a small bowl: brown sugar, fresh chopped rosemary, kosher salt, ground cayenne pepper, ground white pepper and ground cumin. Mix them together, making sure everything is blended in well. Set this aside. In order to get the lamb shoulder ready for the rub, you will need to remove some of the excess fat from your piece of meat. Make sure to leave approximately a quarter inch of the fat because it will melt into the meat, adding flavor and moisture to the lamb. Set the lamb on a platter or a baking sheet and begin to rub the seasonings over the entire piece of meat. Once you have rubbed it in, then press down, adding any remaining rub ingredients to the top and sides of the meat. Allow the seasoned lamb to rest for 30 minutes. 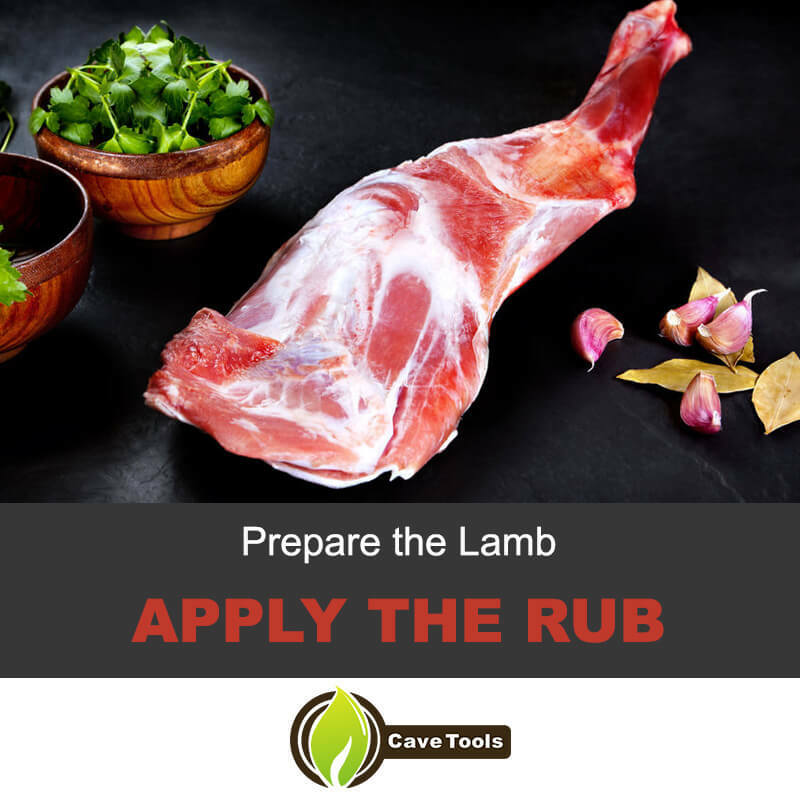 The rub will begin to dissolve into the skin, sticking better as it mixes with the moisture on the lamb. It also helps in creating a crust during the cooking time. Now you will need to get the smoker set up for smoking at between 230-275ºF. This is a little bit hotter than what you might normally use, but the higher temperature will cause a greater amount of the fat to be rendered. The water pan should be filled to half full. Along with the charcoal, include 5 or 6 of the appl﻿﻿ewood pieces. (You may want to add one or two pieces midway through the smoking process, depending on your preference for the strength of the applewood flavor.) Using the water pan helps to stabilize the heat and it also helps to keep the meat moist. PRO TIP: A word to the wise – it is always a good idea to use your grill mitts when you are working with your smoker, especially once the fire is going and when you are checking the temperature of the meat and removing it from the rack. When you begin to see a good amount of smoke beginning to rise, that's the time to set the lamb shoulder on top of the grill grate. Make sure the bones are facing downwards. The fat should be facing you – that is, facing upwards. Once the lamb has reached its optimal temperature. Using your ﻿﻿long handled tong﻿﻿s, carefully remove the meat from the smoker and again place it on the tray or platter. With a large sheet of aluminum foil, loosely cover the lamb. Now comes the most difficult of this whole process – waiting! The shoulder really needs to be allowed to rest in a warm place for between 45 minutes to an hour. After the resting period, it's time to shred the meat. Using a set of meat shredding claws will be helpful in pulling apart a large piece of meat, especially if it's still very hot. 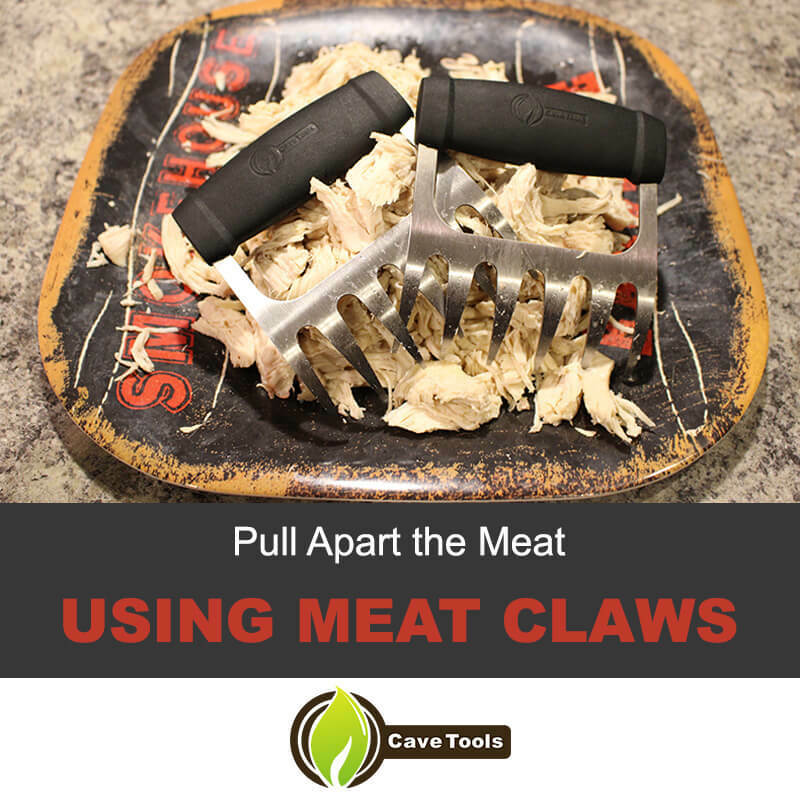 If you don't have the meat shredding claws, you can use regular dinner forks or serving forks. However, if you find that the lamb shoulder is still tough and not easy to pull apart, cover it again with the piece of aluminum foil and return it to the smoker. Let it cook for another 30 minutes and check for tenderness. Make sure you have pulled all the meat from the bones and shredded it. If there are any big pieces of fat that were not rendered, you can dispose of them. Place the pieces of shredded lamb into a large bowl and toss it with the BBQ spice and the hot apple juice. Be sure all of the ingredients are blended well together. Did you find this ​smoked pulled lamb shoulder recipe helpful? I really hope it has clearly explained the steps for smoking a piece of lamb and it will help you get on your way to enjoying more afternoons and evenings using your smoker in the near future. I believe it is necessary to know exactly what you are going to be required to do before you begin the process of cooking. Having all the items in front of you and having every step laid out before you will make it simple and easy to follow along. When you check the list before you begin, you will have what you need from the very beginning. Would you do me a favor? Let me know what you think of this tutorial in the comment section. It really is helpful to hear what my readers think. If you liked this, please share it with your friends. Thank you. While lamb is not the most traditional backyard barbecue item, it does very well on the smoker. 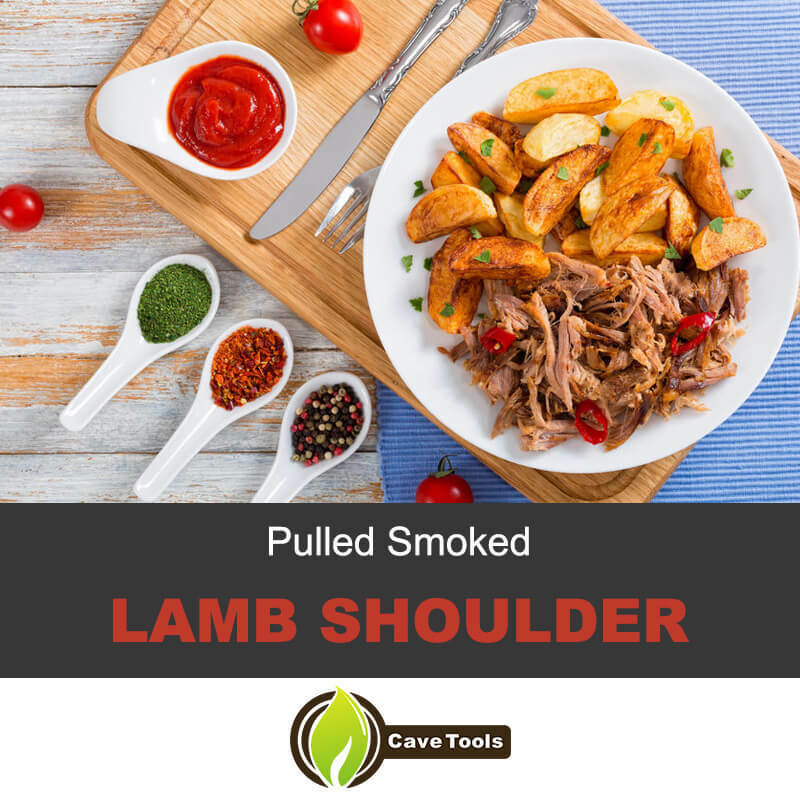 A lamb shoulder can be smoked in the same way as a pork shoulder, which means it can be cooked until it is tender and shreddable. The smoke flavor works very well with the light gaminess of the lamb. You can use this smoked lamb anywhere you would use pulled pork. What Temperature Do You Smoke Lamb Shoulder? The best temperature to smoke lamb shoulder is 225 to 275 degrees F. This will allow your shoulder to cook at a low temperature for a long period of time, what is known as low-and-slow, while still rendering out the fat. 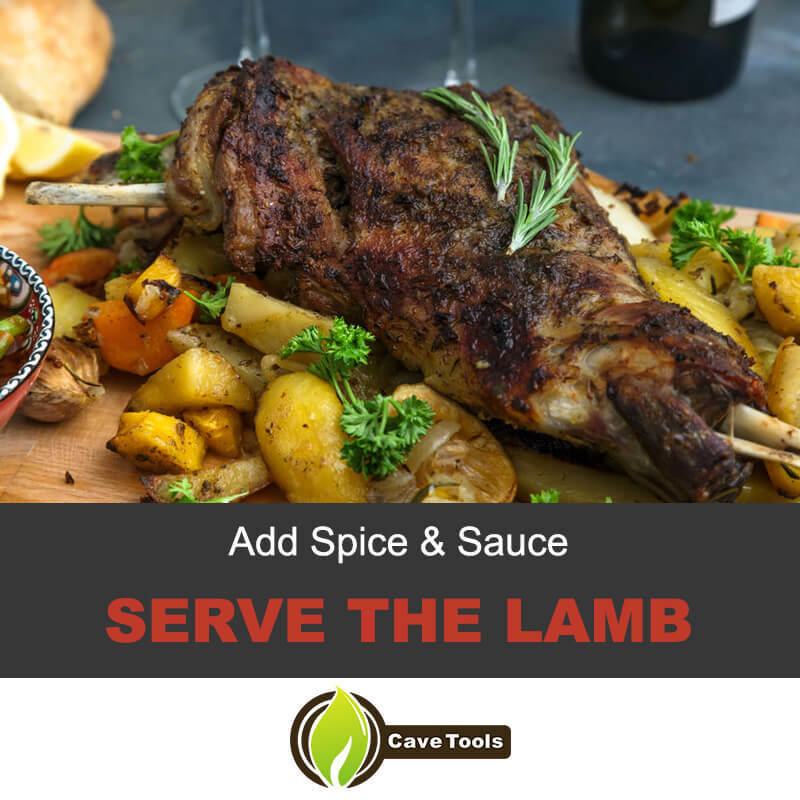 The lamb is finished when it reaches an internal temperature of 145 to 170, depending on how well done you like your lamb. For really shreddable meat, you should allow the lamb to reach 190 degrees F.
How Long Should You Rest Lamb Shoulder? Like any large cut of meat, lamb shoulder must be rested before you cut into it to allow the juices to redistribute within the meat. In general, you should let the lamb rest for ten minutes per pound of meat. This means you may be waiting 45 to 50 minutes before slicing into the lamb shoulder. Should You Smoke Bone-In or Boneless Lamb Shoulder? Many times, the bone-in lamb shoulder is less expensive per pound than the boneless shoulder. This is because you are paying for the bone, which you cannot eat. The bone does make the shoulder exceptionally flavorful, so I would recommend going bone-in. If you are short on time, choose the boneless shoulder because it will cook faster. Can You Smoke Butterflied Lamb Shoulder? Many boneless lamb shoulders come butterflied. You do not way to smoke the lamb in this way because it will dry out very quickly. You can truss the lamb yourself using kitchen twine, or you can ask your butcher to truss the shoulder for a roast before purchasing it.